New Rochelle, NY, April 11, 2018–Designed to improve the utility and availability of increasingly diverse CRISPR-Cas genome editing systems, the new CRISPRdisco automated pipeline helps researchers identify CRISPR repeats and cas genes in genome assemblies. The freely available software provides standardized, high throughput analytical methods that detect CRISPR repeats and accurately assign class, type, and subtypes, as described in an article published in The CRISPR Journal, a new peer-reviewed journal from Mary Ann Liebert, Inc., publishers. The article is available open access on The CRISPR Journal website. 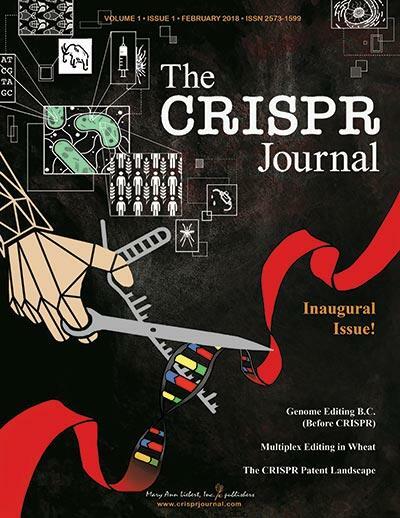 CRISPR discovery (CRISPRdisco) originated in the North Carolina State University laboratory of Rodolphe Barrangou, PhD, Editor-in-Chief of The CRISPR Journal. Dr. Barrangou and colleagues Alexandra Crawley, NC State University, Raleigh and James Henriksen, AgBiome, Durham, NC, coauthored the article entitled "CRISPRdisco: An Automated Pipeline for the Discovery and Analysis of CRISPR-Cas Systems." "New bioinformatics tools, programs, and databases are helping to drive the CRISPR revolution and we're happy to provide a forum for the validation of some of these important platforms," says Kevin Davies, PhD, Executive Editor of The CRISPR Journal.